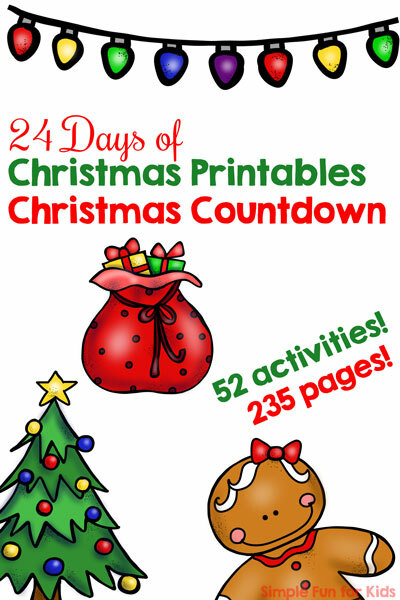 It’s day 15 of the 24 Days of Christmas Printables for Toddlers, and today’s Big and Small Christmas Tree Sort printable works on a new learning objective: size sorting! Laminator and laminating pouches. Optional if you use heavy paper for printing. and the third page is a sorting mat. Cut the pages with the big and small Christmas trees apart at the black lines, but leave the sorting mat with the red border intact. Discuss the different sizes with your kids and assist them in sorting by size if necessary. 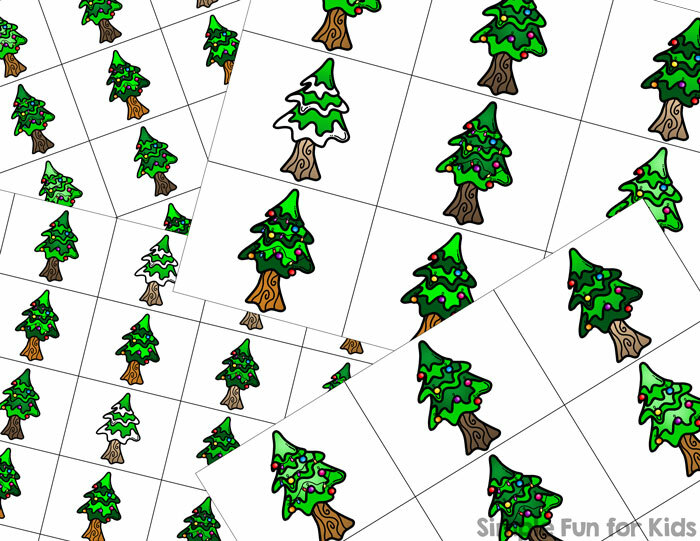 The different Christmas tree designs also include a lot of details you can chat about while doing this activity. 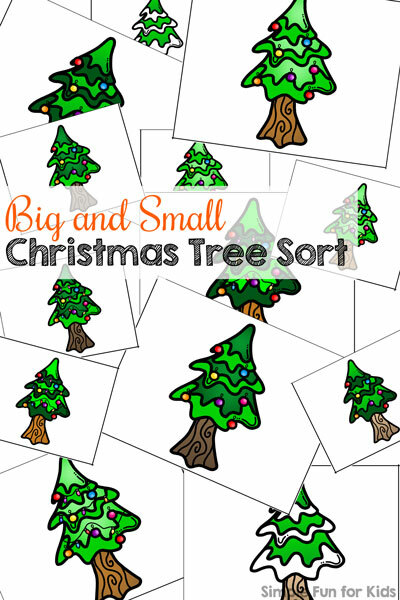 Download your Big and Small Christmas Tree Sort!